There are different types of RAID configurations that are available for network data storage. You must consider the type that you have installed in your business, before attempting a RAID data recovery. Not knowing the type of configuration can be a major hurdle and stop you from carrying out the ideal processes. 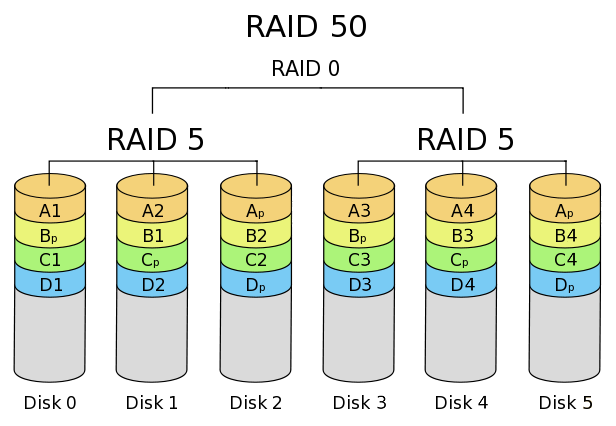 RAID 0 is usually not used these days, since it provides data striping access. 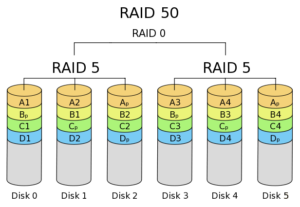 Most servers use RAID 1 which uses mirroring where identical data is stored on multiple devices. However, both schemes are often mixed together, often referring to RAID 5 or RAID 6. Since it is only possible to get redundant data, it becomes more difficult to perform RAID data recovery with damage to multiple hard disk drives. One important element is whether a disk has been recently replaced by another RAID configuration. The new disk may not hold the information elements in the same way as the legacy drives and this can cause problems when performing the required server data recovery procedures. Remember, all member disks in the RAID must remain as a single unit, otherwise, the data redundancy method fails and it can become difficult to perform a data recovery in the event of a failure. The timeline is important for performing successful RAID data recovery. You need to tackle data-related problems as soon as possible and avoid the issues that may otherwise damage the existing storage media of the RAID hard drives. The RAID controller is also important and you should consider immediate help if one of your controllers stops working suddenly. With a swift response time, it is possible to enhance the chances of a successful recovery procedure. RAID data recovery requires complex practices, and you should never allow your system to be exposed to various amateur procedures. Always ensure that you seek professional help when facing data consistency problems from your RAID hard drives. They have the necessary tools and the expertise required to successfully recover your data. Failure to receive expert help will often be the cause of the demise of your important data. Remember, you should seek immediate help as soon as possible for the ideal RAID data recovery. Seek professionals that understand the ADVANCED DATA RECOVERY installed in your RAID structure and then allow them to perform the relevant procedures that are required to recover your precious data. You may have to stop your enterprise system during these recovery operations where your RAID network storage units may have to be removed from your network data-center. Data Recovery Cincinnati LLC understands the value of performing RAID data recovery in the required manner. Our RAID recovery services experts are just a phone call away at (513)338-9756!